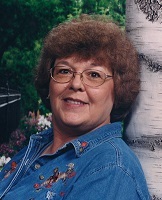 Patty Sue Hendrix, 74, Nevada, MO passed away on Saturday, April 13 2019 at Freeman West Hospital in Joplin, MO following a lengthy battle with cancer. Patty was born October 19, 1944 in Noel, MO to Caddo and Mildred (Starnes) Gann. She was the eldest daughter of 10 children. Patty grew up in Noel and graduated from McDonald County High School Class of 1963. She was married to Wayne Epperson and together they had two children. Patty moved to Nevada from Noel where she met and married William B. Hendrix on November 3, 1970 in Sulphur Springs, AR and he preceded her in death on April 1, 1996. Later in life she met her companion of the past 20 years, James Long. Patty worked for Cottey College in Nevada for 10 years, and at Northeast Vernon County School District for the past 19 years retiring in 2017 due to her illness. She was a member of the Milo Baptist Church, Eastern Star in Nevada, and a past member of the Nevada Eagles Lodge. Survivors include her daughter, Linda Gragg and her husband Mike; step-son, Edwin Hendrix (Tina); step-daughter, Carol Pence (Dan); grandchildren Mikel Gragg, Nathan Gragg; step-grandchildren, Chelsie Hendrix, Jennifer Allen, Rob Shafer, Justin Shafer; several great-grandchildren; her companion James Long of the home; brothers, Richard Gann, Harry Gann, Bob Gann; sisters, Jessie Rainey, Nancy Howerton (Johnny), Iris Phelps (Bill); numerous nieces and nephews. She was preceded in death by her parents; an infant son, David Epperson; three brothers, Clarence Gann, Bennie Gann, and an infant brother, Paul Martin. Visitation will be held from 5-7:00 p.m. on Tuesday, April 16, 2019 at Ferry Funeral Home in Nevada. Memorials are suggested in her memory to the Vernon County Cancer Relief in c/o Ferry Funeral Home.